What is 201 years of service worth? Since 1817 Simcoe Street United Church has cared and supported families and the needs of Oshawa and its surrounding communities. Now Simcoe Street United Church is turning to the community and asking for its help. The building structure itself requires a lot of work. Repairs and restorations are urgently required in order to preserve this historical landmark. The Steeple, the Roof, the Bricks, the interior of the Sanctuary and adjoining spaces, all need repair, replacement, maintenance. 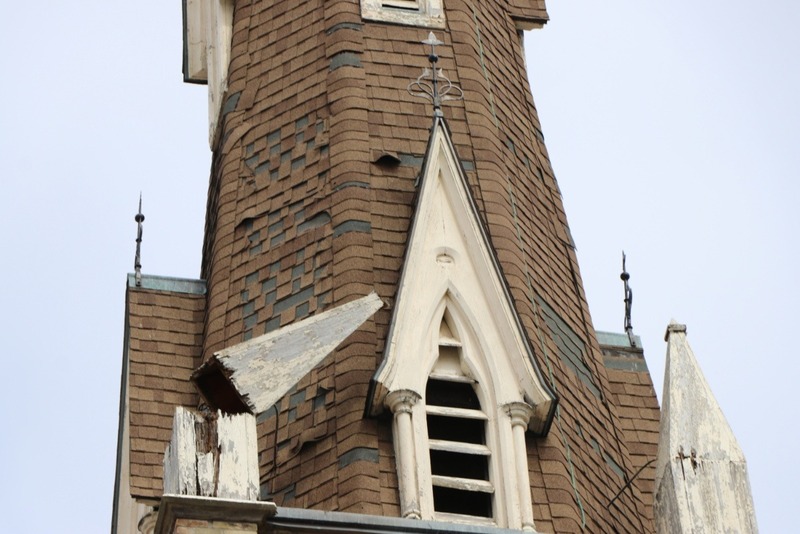 One of our most imperative and urgently needed repairs are to the Roof and the Steeple. Why Does Simcoe Street United Church matter? Simcoe Street United Church is the meeting place of 30+ organizations within the community, many of which are not-for-profit. It provides space for The Back-Door Mission for the Relief of Poverty, the Murray McKinnon Foundation, the Durham Woodworking Club, Durham Philharmonic Choir and community concerts, one of which is the Professors of Funk fund raiser for the Back-Door Mission, just to name a few. It helps the community celebrate life's important milestones such as wedding, baptisms. The list goes on. Simcoe Street United Church is also the home of a grateful congregation. We also ask that you Like and Share this message on your Facebook and social media outlets. Please share this request via email and text messaging to your friends, family and co-workers. The more this is shared the better chance we have to restore this beautiful historical structure many call home. Thank you for taking your time to read this request. "Together we can face any challenges as deep as the ocean and as high as the sky"